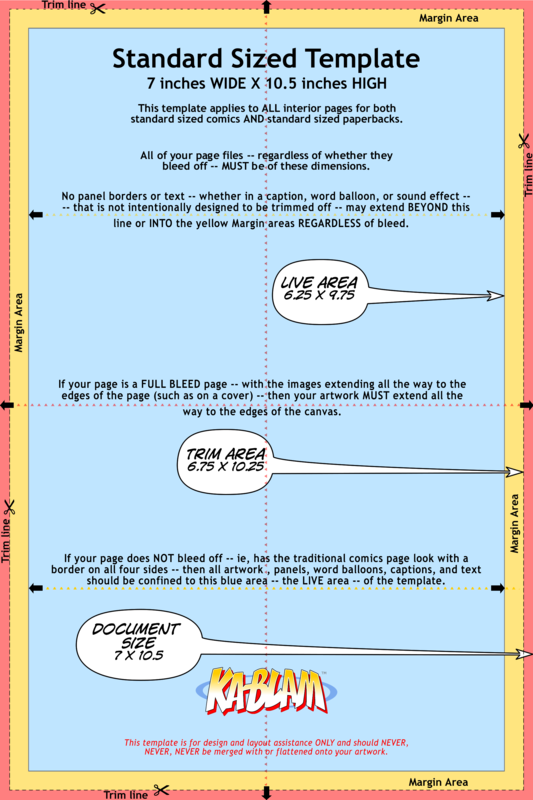 This template applies to all pages for standard-sized comics, standard-sized paperbacks, and all interior pages for standard-sized hardcovers. Click the image above to download the template. Open the template in your image editing software (photoshop, illustrator, indesign, etc.). Build your comic page to the exact dimensions and specifications in the template. To double check the dimensions and specifications of the page you build you can paste the template as a layer on top of your page. 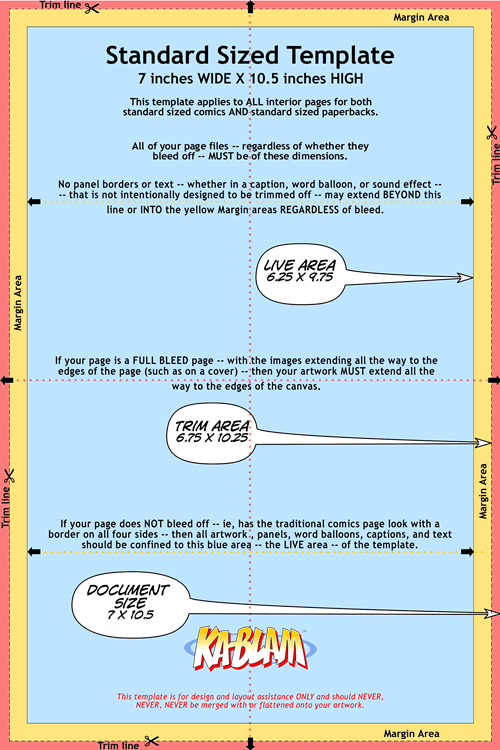 If all of your artwork that is intended to bleed off of the edges goes all the way to the edges of the template (the red area) while all of your relevant art, text, panel borders, captions, and word balloons are confined to the live area (light blue) then your page is in spec. PreviousWhere do you put a bar code?